Home Revenue and Expenditures Revenue and Expenditures: 2. What Are Vermont Taxpayers Really Paying For? So, of the total $3.1 billion of taxes raised by the State of Vermont in fiscal year 2016, 59% went to fund Education and 30% to fund Human Services. All the other departments were funded with only 11% of total state taxes. If you think taxes need to be cut, Education and Human Services expenditures need to be tackled. There are some large state-owned operations that are not included in the audited financial statements of the primary government. These operations are separately financed without reliance on state tax revenues (although there are some subsidy payments included in the primary government financial statements). The largest of these operations are the University of Vermont, Vermont State Colleges, the Vermont Student Assistance Corp. and the Vermont Housing Finance Authority. In fiscal year 2016, total expenditures of all these “off-balance sheet” entities were just in excess of $ 1 billion. What are Vermont taxpayers Really Paying For? Where does the $3.1 billion figure come from? That doesn’t seem to relate to the chart above. Sorry, one of the shortfalls of publishing a series. 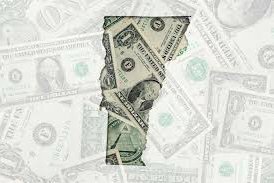 The prior post, which summarised total revenues and expenditures for Vermont, would show the $3.1 billion figure.